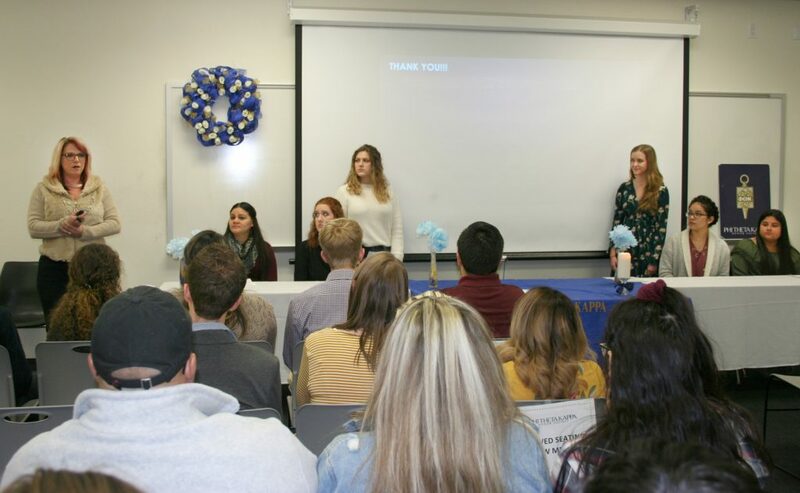 The Beta Zeta chapter of Phi Theta Kappa at Paris Junior College held spring 2019 induction ceremonies in Paris, Sulphur Springs, and Greenville on March 4, 5, and 12. The two-year college honor society inducted nearly 120 students this semester. PTK offers students opportunities to develop qualities of scholarship, leadership, fellowship, and service. To be eligible, students must have a grade point average of 3.5. They also may become eligible for transfer scholarships. Inductees light a candle of light and learning and sign the official membership book as part of the ceremony. Many family and friends attended the ceremonies to help celebrate students’ academic achievement.